Our clients purchased this site consisting of a bungalow, outbuildings and menage, with the intention of building a new family home. The existing buildings were aesthetically of poor quality and disconnected from their hamlet location. The new design had to be carefully considered to meet the clients’ requirements, which included maximising the views from the house over the surrounding countryside. However, due to the build’s location, reducing its own visual impact particularly from elevated viewpoints also had to be taken into account. 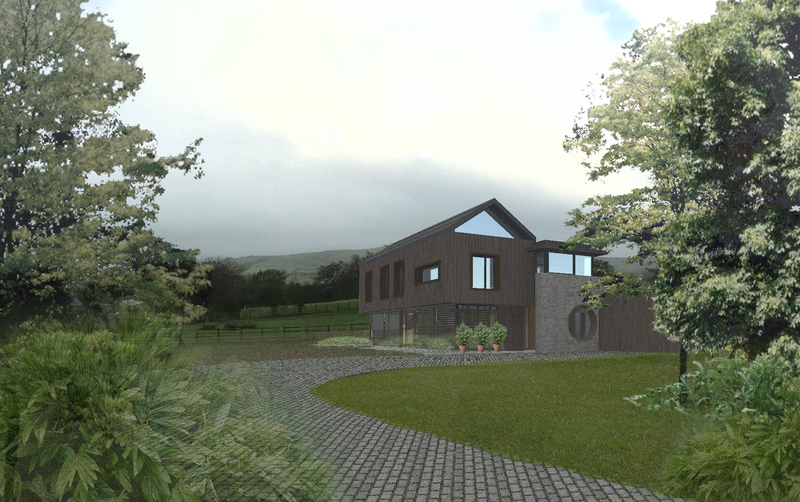 Working with planning consultants De Pol Associates, planning consent was achieved and the build is now under way. 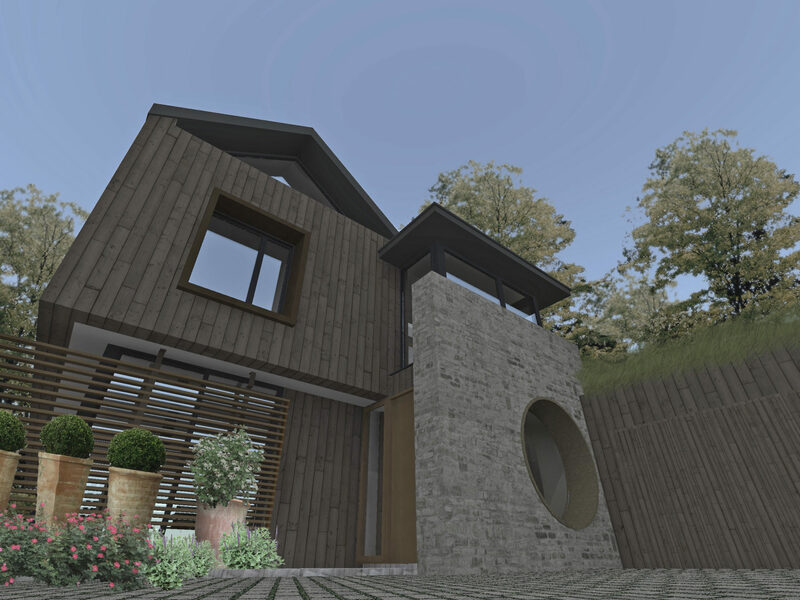 Materials have been chosen to ensure that the house will sit respectfully within its surroundings. 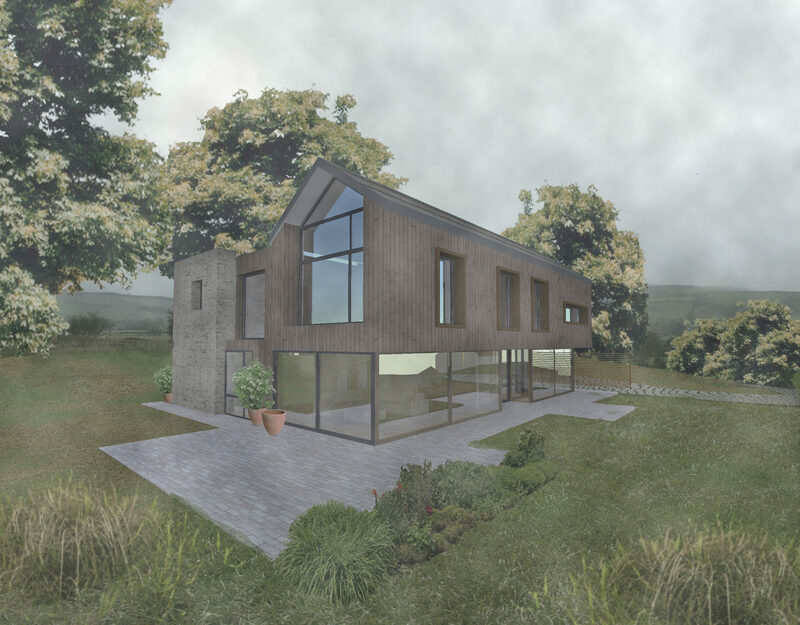 Locally sourced stone will visually reconnect the site to the neighbouring hamlet, and a burnt face timber cladding to the upper floor references the agricultural buildings to be found in the surrounding countryside.